Leaders including Vice President Joe Biden and Gov. John Kasich (R-OH) wrongly criticizes President Donald Trump for condemning violence from both the left and the right. The recent speech by Donald Trump, condemning both sides – the left and the right for the violence in Charlottesville, Virginia was not received well. The two groups went after each other. One group were the white supremacists and the other, the left, or those who opposed them. Ghosts at the Cemetery: Real or Imagined? Rarely do paranormal things happen or could have happened in which I am a witness. What happened made me wonder if I was getting a message from beyond the grave. Could my cousin(s) have been acknowledging my presence and also making their presence known? Ghosts exist where people believe they exist. I brush most things off as superstition from my birthplace, the Philippines. My family emigrated to the US when I was young. Aside from my brother’s experience, I can still brush things off. But, the incidents in Hawaii were just a little more than ordinary happenings. Perhaps, if it was one incident, it would not be worth mentioning. Author Ben BaligadPosted on July 15, 2017 September 1, 2017 Categories Short StoriesLeave a comment on Ghosts at the Cemetery: Real or Imagined? Ask for credit for your existing prepaid hosting !!! Do you have a website and are looking for products to sell for commissions? 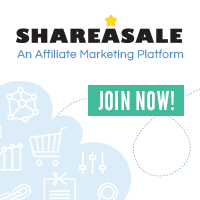 Do you want affiliates to sell your product?